Home Gadgets How To Make Money From Kindle Books! 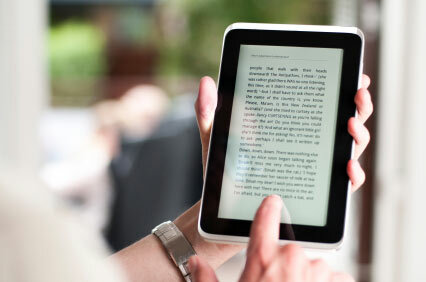 Today we will discuss about how we can make money from Kindle books. Making money online is ideal for anyone who wants to enjoy a passive income that can give them a little extra pocket money to spend or even help them to stop relying on their main form of employment. However, while lots of people realize the benefits of earning online, for many this only really entails making money from a website. Ask someone how to make money online, and they will probably talk about making a website, doing SEO and putting adverts on the pages. That’s all good and well, but there are many other ways you can earn money online – and one of the most powerful recent options is to sell books on Kindle which can help you to make a big profit without putting in much work at all. Here we will look at how this works and how you can make the most of the Kindle store for your money making aims. First of all, you will need to know how to get books on Kindle. The good news is that this is relatively very simple, and all it really involves is writing a book in Word or another word processor and just clicking upload. The good news regarding this is that you don’t actually need to convert the files at all really and Kindle will do all that for you. The other good news is that it doesn’t cost anything at all, and as long as your books are a minimum length you’re very unlikely to be refused too. So in short no programming is required, no editing and no specialist knowledge. Just go and sign up as a publisher (search ‘Kindle Direct Publishing’) and you can start seeing your books in the store. However just getting your books on Kindle won’t on its own be enough to make you lots of money – you have to be strategic. First of all this means thinking about what people search for. Do keyword research using the Google AdWords tool, and then just transfer this over to the Kindle store. People tend to search for the same things across search engines, and if you can name your book something that people are looking for – like ‘Making Money Online’ – then you can get your book seen. However, just like Google you also have to think about competition, so look for terms that don’t have many books online already and target those. Niches are great so if you have any specialist knowledge in any subject this will give you a big advantage. Next you need to think about the sample. You see people can download a sample on Kindle of the first 10% or so of the book allowing them to get a taster and to decide if they want to download the rest of the file. What you of course need to do is to ensure that sample is so engaging and so goo to read, that they are gagging to download the rest of the book. Consider this like an advert then, and use the front of your book to hint at the great things to come. Then of course look for other channels to promote your book – the most obvious example is a website or blog, but I’m also currently having a lot of success using YouTube. And then all you need is volume. If you can write fast then you can produce lots of quality and original books on the store. I currently have around 7 books for sale, and I’m earning about $5 a day from it. Logic dictates then that if I were to write 63 more I could be earning $50 a day… and that’s not to be sniffed at. OtterBox Cases for iPhone 3G, 3GS.